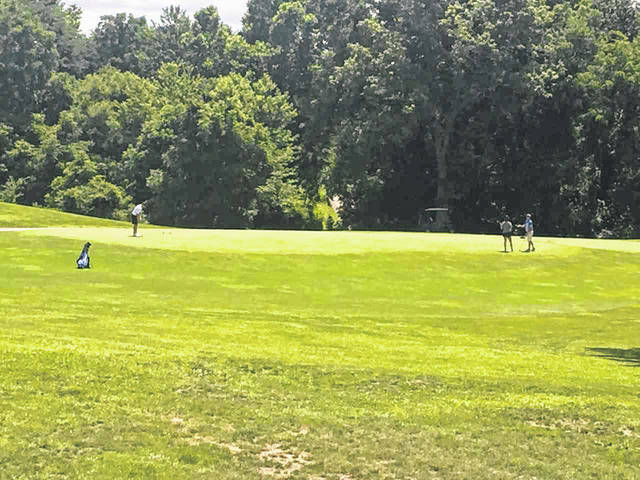 News broke on Wednesday of Shawnee State Golf Course being put up for sale, and the information came as a shock to many citizens of the county, not excluding the Scioto County Commissioners themselves. According to Commissioners, they were given no notice of this decision by the Ohio Department of Natural Resources, and in fact were advised otherwise in meetings that took place earlier this year. “They [ODNR] were in here recently and told us that they didn’t have any plans to sell that,” said Chairman of the Board of Commissioners, Mike Crabtree. “They were adamant about that. There was no plans to sell it, they were going to go in and do some improvements and whatnot. Either they had some misinformation, or they were giving us misinformation. For some reason or another, they sounded very positive that they were going to go in and do some improvements on that and everything,” said Crabtree. Shawnee State Golf Course which sits 6,407 yards in length, features four ponds, 46 sand traps, and serves as a staple attraction to Scioto County Tourism. “ODNR told us to our faces that they were not selling the golf course, and that was on February 21.” Said Commissioner Bryan Davis. “We had a meeting at Shawnee State Lodge. Cathy [Coleman] and I attended that meeting, along with other representatives from our area. Kim Bauer was in attendance as well. The whole purpose of the meeting was to talk about collaboration and growing joint cooperation between the county and the state on our resources, the Shawnee State Park region, what we could do to work together to bring more people into that area to enjoy what is a crown jewel of our county, the largest state park. It’s a wonderful beautiful part of our state, especially of our county, and we left there feeling very good about their commitments. Point Blank [ODNR stated], “We’re not going to sell it”. Davis said “As a matter of fact we were told they were investing in it. We were told they had just bought carts, they were tearing down trees around hole 5 to have the view of the river, they were going to be paving new golf cart paths, and they were going to look at improvements in the pro shop.” Additionally Commissioners were told that US Hotels was going to be taking over. From what I’ve been able to determine since seeing and hearing about this is that: One, we were not notified by ODNR. Two, our state representative was not notified by ODNR. Three, our State Senator was not notified by ODNR. Four, the employees of the golf course were not notified by ODNR prior to making this decision. And, from what we can tell, the Governor’s Office was not notified of this decision. Commissioners advised that they would have more information within the next day, and stated that from what they have gathered, US Hotels themselves were having trouble reaching ODNR to find out what prompted this decision. “We are asking for cooperation here. We are researching on our end to find out what we can do to prevent this, because this is not good,” said Davis. Davis added that he had already been in contact with the county prosecutor to explore possible options.